OUR OSUNA OFFICE IS MOVING!!!!! THEY WILL BE CLOSED APRIL 12, 2019 THROUGH APRIL 26 AND WILL BE OPENING IN THE NEW LOCATION ON APRIL 29. 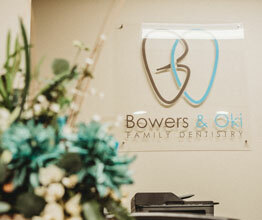 Welcome to Bowers and Oki Family Dentistry! 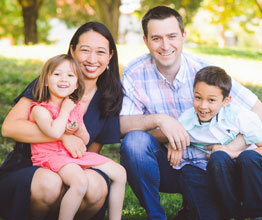 Dr. Jonathan Bowers and Dr. Jennifer Oki are a husband and wife team of dentists offering general dental and cosmetic dental services in Albuquerque, New Mexico. We are dedicated dental professionals who love dentistry and our patients. Many patients and families have been coming to us for years and we take pride in building trust and long term relationships with each person who comes to our dental practice. Most people do not look forward to dental visits and some avoid the dentist due to fear or anxiety. You can relax knowing we strive to make each visit comfortable, relaxing and pain free. People who have had bad dental experiences often come to us and have become some of our best and most enjoyable patients. Caring for our patients is our top priority. 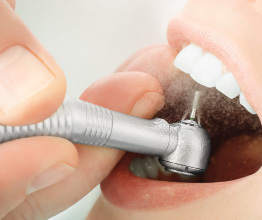 We provide the highest quality of dental care to keep you healthy and your smile beautiful for years to come. Our excellent team of dentists, hygienists, assistants and receptionists are here to take care of you, answer your questions, address your needs and concerns, and develop a treatment plan that fits your goals and finances. Please call or come in to our office to schedule an appointment, take a tour, meet our staff or get answers to your questions. 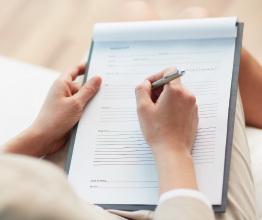 We love meeting new patients and hearing from our current patients. We look forward to your visit and to being your partner in oral health!